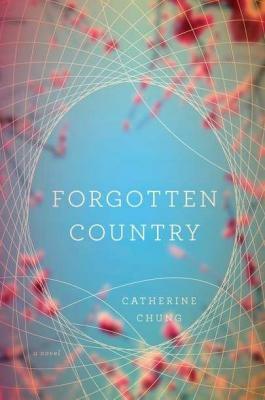 Catherine Chung’s debut novel, Forgotten Country, is an emotionally intense examination of two sisters who struggle with finding a balance between their traditional Korean roots and their modern American life, between trust and betrayal, and between independence and family obligation. From the time she was a little girl, Janie’s life has been one of before and after — marked by her sister’s birth, her family’s move from Korea to America and her father’s illness. When Janie’s sister, Hannah, suddenly disappears, seemingly on her own volition, it’s as if the final tether grounding the family had been severed, and everything begins to fall apart. Catherine Chung accentuates these divisions by alternating the perspective of her debut novel, Forgotten Country, between now and then. In the present, Janie, a good daughter, puts her own dreams aside — taking a leave of absence from her doctoral program to help her parents return to Korea, where, ironically, her father can receive the best treatment for his cancer. Before she can join them, she must find Hannah, reconcile and tell her about the move. The present doesn’t stand on its own, though, however much we want to escape the past. And Janie and Hannah’s story has been shaped not only by their own sometimes traumatic childhood but by generations of sisters in Korea who have also struggled with sibling rivalry, conflicting obligations and deep personal secrets. Chung’s novel is an emotionally intense story of sisters who are learning to accept their past, to find forgiveness and understanding, and to have hope for their future.